Finding the cheapest place to retire is quite a challenge. There are so many beautiful places with relatively low costs of living – not only in the United States, but also overseas. If you have always wanted to live overseas and you have your “dream country”, now is the right time to think about moving there and enjoying your free time. First, you have to decide whether you want to stay in the United States or to move overseas. One thing is certain: no matter which continent you choose, it won’t be easy to pick one place to live! Here are several suggestions. This country has a lot to offer to foreigners. It is one of the most developed countries in this part of the continent. Most people choose Coronado for its peaceful neighborhoods, great climate and friendly people. Coronado has many small clubs and local organizations, like karaoke bars, sport clubs, yoga clubs, and art clubs. The cost of living in this town is low; house prices, groceries, health care, and other services are affordable, and there are no taxes on foreign-earned income, which is another great advantage. After considering all these factors, Coronado may be just what you need. 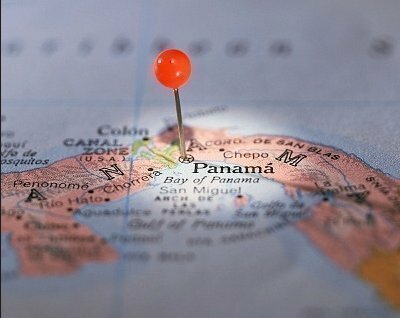 Find out more about Coronado, Panama. This place has been named the world’s best place to retire for several times, by International Living. The cost of living is low, and even “the luxurious” things are affordable. You will love the architecture, beautiful nature and great climate. Costa Rica is known for its beauty and higher quality of life, compared to other countries of the region. It is a great place to retire – for many reasons. First, the climate is perfect, people are friendly, the cost of living is low, and – there is no retirement income taxation! Many retirees want to start their own business, and if you like this idea, Costa Rica can be the right place for you. Free zones in Costa Rica allow people to do certain types of businesses without taxation. You can visit the official website of San Jose to find out more about this beautiful place. This beautiful island is located in Southwest Thailand. If you have a decent fund, you will be able to afford quite luxurious things! Beautiful beaches, great climate, low cost of living and exotic culture make Koh Samui a perfect place to retire. Find out more about Koh Samui. If you want to live in a foreign country, but you are not ready to go too far, Mexico may be the right place for you. Merida has a lot to offer: a very interesting culture, dynamic lifestyle and low cost of living. Flying to and from the United States will not cost you much, which is another great thing, for those who are not ready to leave the United States completely. Find out more about Merida, Mexico. Some of the best places to retire in the US are located near college campuses. Gainesville is home to the University of Florida, which is a contributing factor to its economic stability. The income tax exemptions and relatively reasonable cost of living make this place very attractive to retirees. In case you still want to work, you can get a part-time job, through the AARP Senior Community Employment Program. Noblesville is a scenic town in the United States with a total population of 37,000 people. The cost of living is fairly low, and house prices are reasonable. The main attraction of the town is its historic Courthouse square with rows of Victorian homes nearby, but there are many other interesting places.